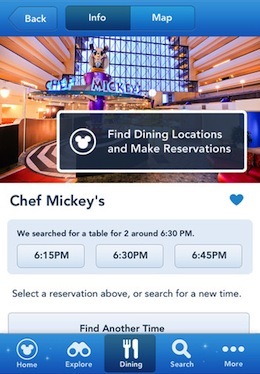 Disney has launched a brand new app for Walt Disney World attendees, and it looks like a great new all-in-one companion for visitors. 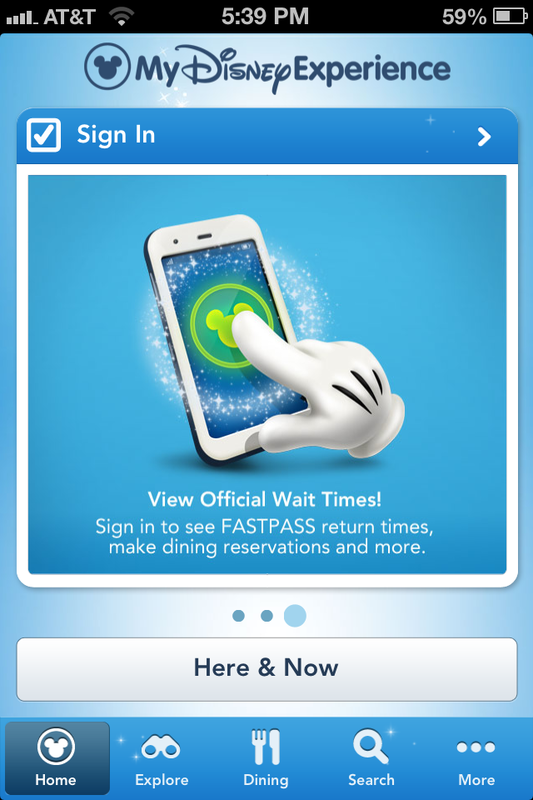 The app, called My Disney Experience, features maps, wait times, dining guides and a lot more, including hints at support for Disney’s wireless next-generation Fastpasses. There are a lot of apps out there on the store that offer some of these features, but the My Disney Experience app is one of the cleanest and most well done versions I’ve used (I’ve used a lot of them). High resolution animation-style maps, guides to the closest attractions, closest restrooms and baby changing stations, wait times for rides and a plethora of park information all with Disney’s official stamp on it. If you’re a frequent parkgoer, then you know how important careful Fastpass management is to having a great time and getting a lot of stuff done on your visit. That’s why it’s so cool that there appears to be a hint at a system that gives you the current Fastpass return times, letting you snag a pass for rides and leave, coming back when your window is up to let you cut the line. 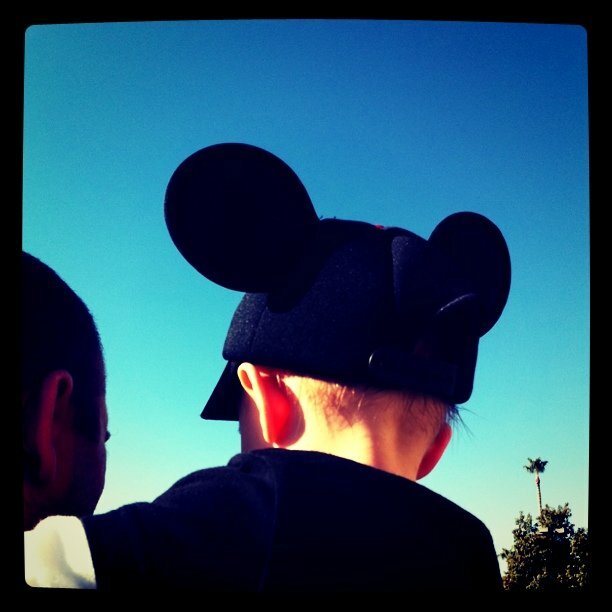 The section in the app was noticed by Ricky Brigante at Inside the Magic, a great Disney-focused blog that I read. 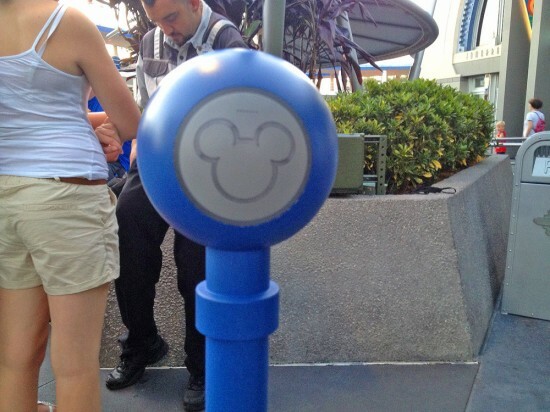 The section, which appears only before you log in, hints at integration with new RFID-based Fastpasses that Disney has been testing out at its parks. This all ties into a whole ‘NextGen’ park experience that will let you reserve rides from outside of the park, check in hotels in advance and eliminate lines with common waiting areas with their own attractions, using beepers and such to alert riders that their turn is up. This is a pretty cool bit of news if you’re a Disney-phile like myself. Having a wireless tap-and-go system for Fastpasses is super cool, and being able to keep track of your passes and when they’re redeemable on what ride is fantastic. Because there are overlaps in the windows when you can get new passes and when you can redeem previous ones, it gets tricky once you’ve got more than one out at a time. Presumably, the app would let you see when they were going to be active and how long you had to get back to the ride before they ran out. Anyhow, the other functionality is up and running, like restaurant reservations and more. 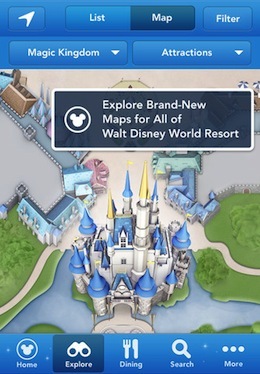 And the overall app experience is better than the Mobile Magic parks app that Disney released previously. But, at least for now, the app is Disney World only, so you’ll have to wait to get the cool new features until it’s rolled out in both parks.